Everything you would like to know about Bristol. You maybe thought you knew…but how much do you really know about Bristol? Bristol was home to Harvey’s Bristol Cream Sherry ,created in Bristol in 1796 and J S Fry produced the world’s first bar of chocolate in Bristol in 1847. 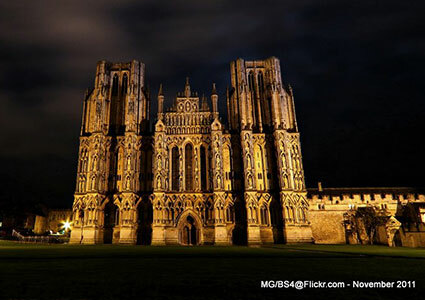 Both sadley no longer around, Bristol has been voted one of the most popular places to live in Britain and one of the top three most popular cities. 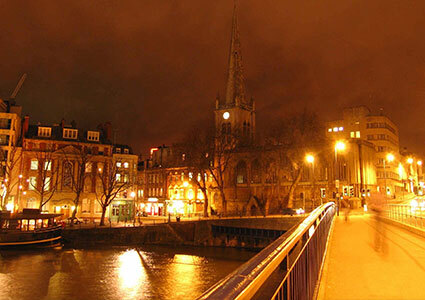 Bristol is the eighth largest city in the UK, the largest city in the South West. Data has also shown that People living in the South West are more likely to live to the age of 75 than those living elsewhere in England and Wales. Although we have more than our fair share of famous folk, let’s unearth a few of the lesser well known facts. Bristol grew up in Saxon times where the Rivers Avon & Frome meet. A bridge was built there and the settlement became known as Brigstow. Due to the local dialect an ’L’ was added to the end of it & Bristol as we know it today - was born! The world famous HMV logo founded in 1895 and recognised universally was created and employed the talents of a young dog called ’Nipper’, born and bred in Bristol, now, over a hundred years later the mantle is being passed to that most discerning of canines - Grommit - another Bristol local lad, but how many people actually remember what the company’s name stands for? The Plimsoll line, Ribena and Tarmac were all invented in Bristol. Thanks to a bequest made in 1739, children attending Morning service at St Michaels’s Church Bristol on the Tuesday after Easter are given enormous spicy buns to eat! At the time of the bequest, tuppeny buns initially intended for the choir boys were an extra-special treat compared with the more bog-standard penny ones - aah! Brings a tear to your eye! Bristol is the largest centre of culture, employment and education in the region. Its prosperity has been linked with the sea since its earliest days but in more recent times the economy has depended on the creative media, electronics and aerospace industries and the city centre docks have been regenerated as a centre of heritage and culture. 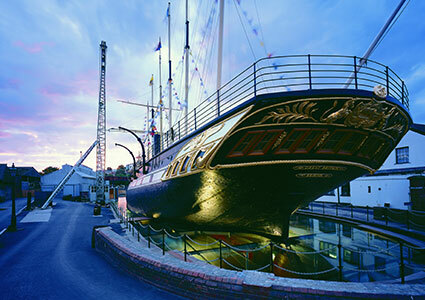 Bristol is the UK’s most popular destination for foreign tourists and the city receives over nine million visitors each year. Although it played a sterling contribution in manufacture (particularly in the field of aviation, namely British Aerospace and Concorde), these days the city excels in its world class reputation as a cultural leader, whether it be through the work of theatre companies such as the Bristol Old Vic, the championing of music and development of the ’Bristol sound’ . The city has two Football league clubs. Bristol City and Bristol Rovers as well as a number of non-league clubs. The city is also home to Bristol Rugby Union club and the County Ground is the home to The County Cricket Club, which was bought in 1889 by W. G. Grace and has been home to Gloucestershire Cricket Club ever sinceever since. 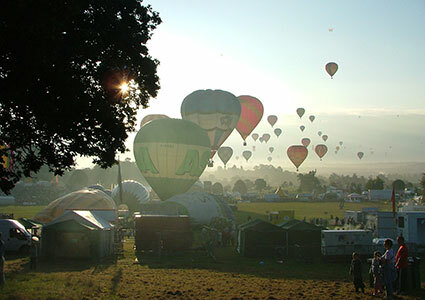 One of the major festivals of the year is the Bristol International Balloon Fiesta, a major event for hot air ballooning in the UK which is held in the grounds of Ashton Court every August. The fiesta draws substantial crowds - even for the early morning lift beginning at around 6.30 in the morning. Bristol is also host to the now renowned International Kite Festival. 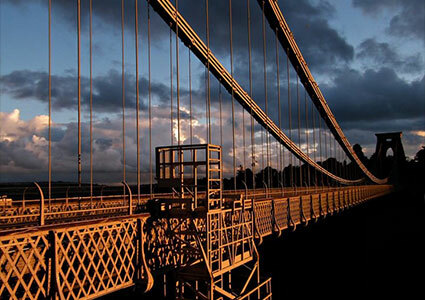 Bristol boasts two major institutions of higher education, the University of Bristol and the University of the West of England. It also has the country’s second highest concentration of independent school places after London. 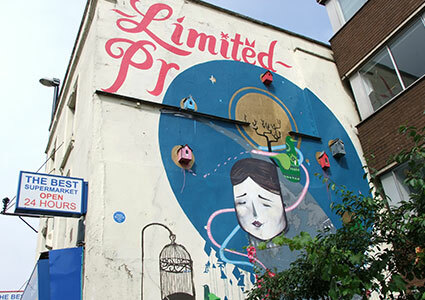 Well served by local transport, including two principal train stations (Temple Meads and Parkway), the city can also boast a first class airport at nearby Lulsgate, which has seen significant investment in recent years. Bristol was named ’England’s first cycling city’ and is home to the sustainable charity Sustrans. It has numerous urban cycle routes as well as many links to the national Cycle network and there has been a significant increase in cycling by as much as 21% in the last two years. Widely acknowledged as one of the nicest places to live in the UK, Bristolians are equally reported to be in the top ten percent of the happiest people in the country and with so much to recommend for itself, have a look at some of the famous sons and daughters who have made their mark and who ensure that this great city continues to flourish in the 21st century. If we have missed someone then tell us!